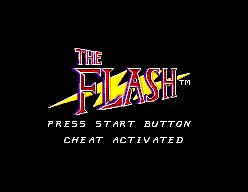 The Flash - Cheats - SMS Power! Wait for the title screen to appear, and quickly press . If performed correctly, "Cheat Activated" will appear on the title screen. 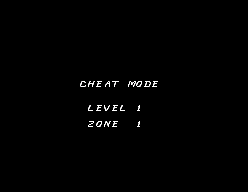 Then, press to access the cheat mode. This gives you a level select, makes you invincible and stops the timer. You can press on controller 2 to toggle these effects.